Floss lives with her mum, step-dad and half-brother Tiger, but when they announce that they’re moving to Australia, she faces a dreadful decision. Should she go with them, or stay with her real dad, who lives for her visits? How can she solve such an impossible dilemma – and can she bear to leave her lovely dad behind? 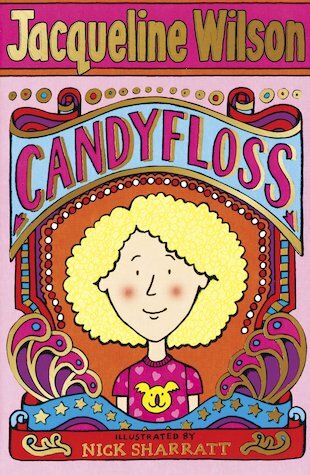 Starring another of Jacqueline Wilson’s winsome and spirited heroines, this moving story is set against a whirlwind backdrop of fairgrounds and street cafés. Read it – you’ll be praying for Floss to make the right choice! Have you read this book? If you haven’t, this book is great I would recommend it for girls age 8 to 12. My favourite character is floss she is a kind girl but always followed the crowd until a little girl called Susan joined Flosses school. I don’t really have a best part because I like it all. The book is exiting and very thick but you cold read it because I did. I hope I persuaded you into reading this book , if I have enjoy! I have read many good books but not as good as this ! A really good book! Would recommend! i liked it because it was mystical.